Playing with the basic starter ship maybe fun but it has its limitation, i couldnt finish most of the missions or get more then 6U of cargo at a time. and To you i say START RENTING Ships! Renting ships will completely change the way you play 3.0, i finished most of the missions and im enjoying everything that 3.0 has to offer. Frame rate a “major” focus for 3.1! At 10:30 in latest ATV. 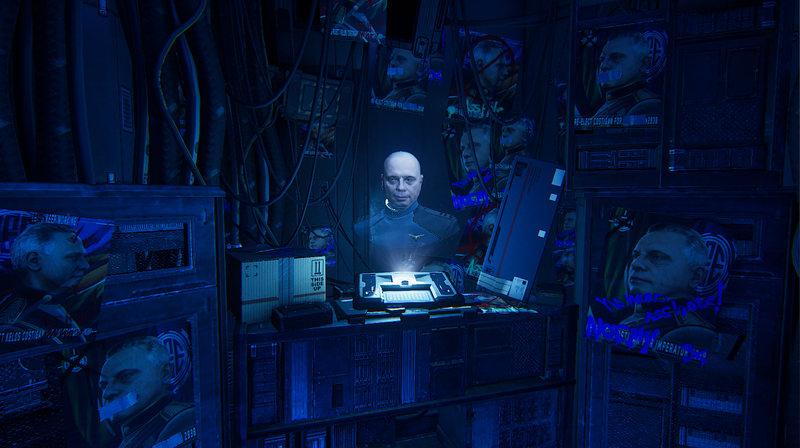 Reverse the Verse with Erin Roberts starts if this post is 25min old. Star Citizen Updates. How will they work in the future? So, does this mean from now on, we will only get updates to game every three months? So, Star Citizen will be stuck on 3.0 for another 3 months? Then all the testing evocati stuff will start over again, and it will be another month of two until whatever version is released is playable? But, updates are supposed to be every three months? So, when does testing for the next update happen? A month or two before the 3 months, or after? I am not hating. Just trying to figure out how this new update schedule is supposed to work. I'd much prefer a continuous release schedule. Like whenever there is something new/fixed/updated just release it. Just like they were doing with the Evocati releases. That way, you constantly get new updates, and if something is bugged, or gets broken, you can just fix it in the next random release. Similar to how a lot of games are doing it now. DO you think SC is a SCAM? Watch this. 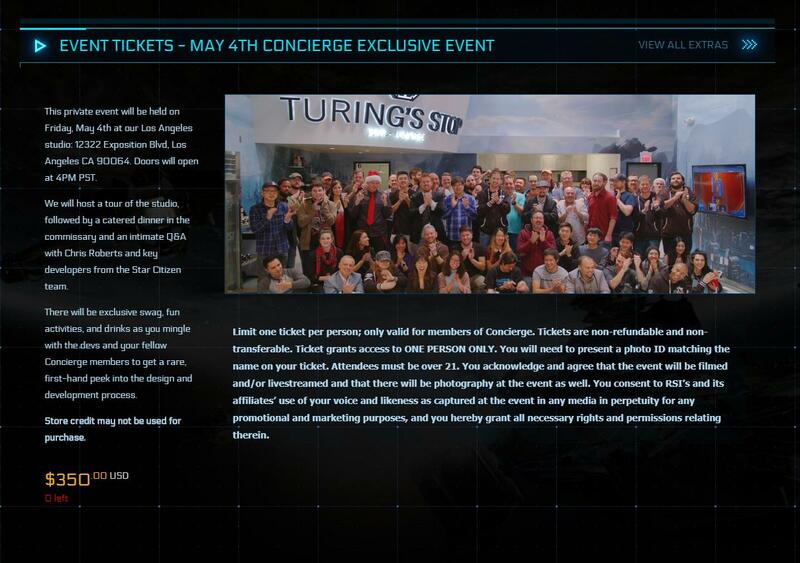 Can't wait to have this implemented with Star Citizen. Um.... I have a Retaliator?!?!??! So, I've been suffering from the "REC weapons after 3.0" bug, so I've been trying various things in order to try to work around it. Recently got a Thrustmaster FCS HOTAS. It's a great set, however I'm struggling with SC compared to E:D. Where E:D has gimballed auto-aiming turrets, the best I've been able to do is lock my SC Avenger gimballs and try really hard to aim well. Does anyone have any tips for flying with a joystick in SC? Furthermore, are there any updated 3.0 flight guides that cover all of the different features/modes of flying in 3.0? 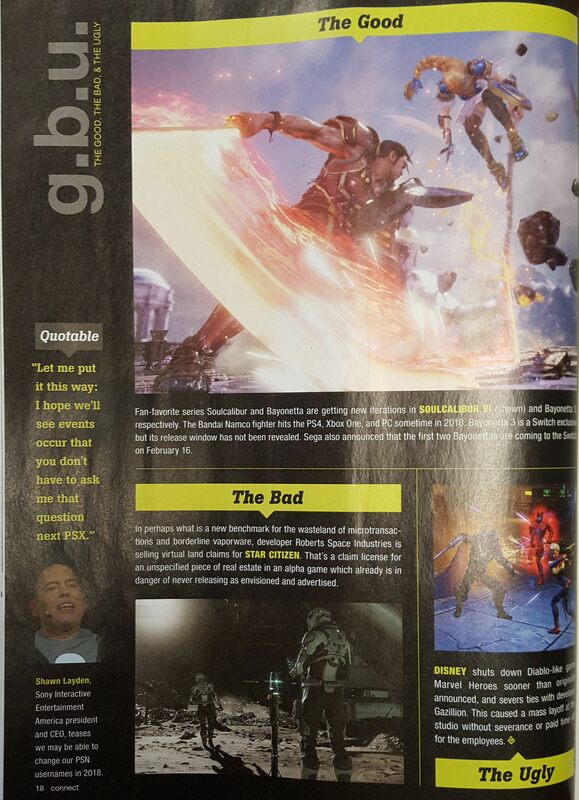 Jan. 18th Issue of Game Informer - SC Featured as "The Bad" in "The Good, the Bad, and the Ugly."